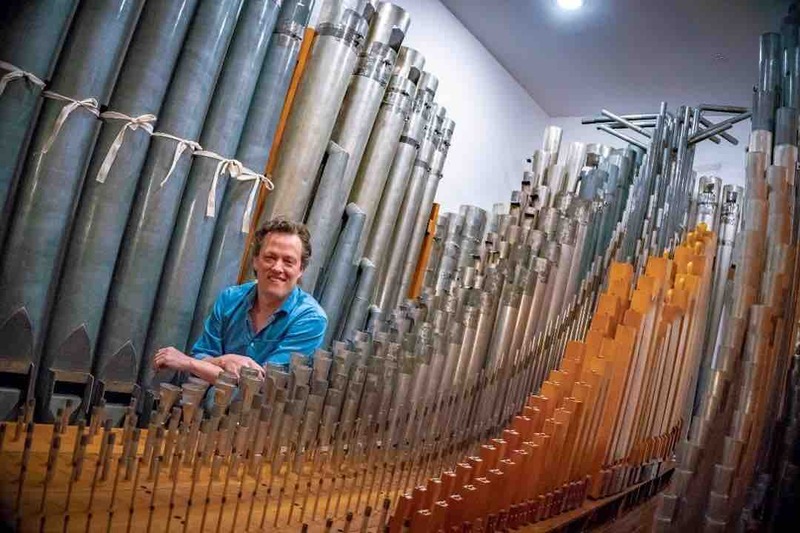 Six years ago, two-time Emmy-nominated composer Nathan Barr set off on a mission to restore an iconic Hollywood instrument, the original Wurlitzer pipe organ that was installed at Fox Studios in 1928. After retrieving it in a warehouse in Reno, Nevada, the musician brought it back to Los Angeles and built his Art Deco-inspired studio around it. This incredible piece of Hollywood history was used to create the music of classics such as Journey to the Center of the Earth, The Sound of Music, or Patton. 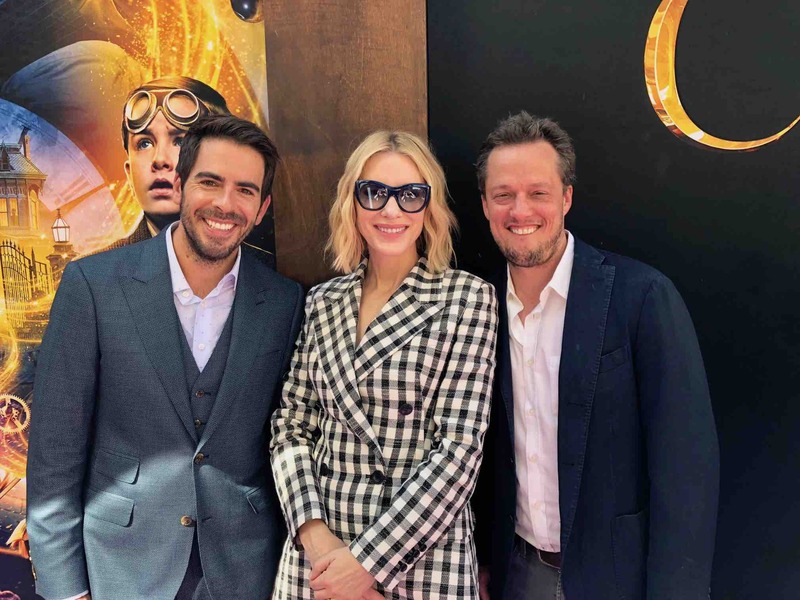 It is now back in service as it was used by Nathan to score Eli Roth’s latest film, The House with a Clock in Its Walls, starring Jack Black and Cate Blanchett. Nathan Barr has been working with the director for years now and his scores can be heard in Hostel or Cabin Fever, among others. He has scored all six seasons of FX’s The Americans, which earned him his first Emmy nomination for Outstanding Main Title Theme Music. He also wrote the music for HBO’s True Blood and Netflix’s Hemlock Grove, which earned him his second Emmy nomination. Score It Magazine had the incredible opportunity to chat through Skype with the composer who collects unusual and rare music devices. Nathan showed us around his terrific 8,000 sq. foot music studio, which has six rooms and two stories dedicated to housing the instrument. He still seems astonished by the beauty of the instrument when he talks about it. He played the legendary Fox theme and gave us a glimpse of the extraordinary abilities of the organ: it can produce celestial sounds or mimic the sound of a horse more efficiently than a Monty Python with coconuts in his hands. He says that he could fit into the biggest pipes (which make a sound loud enough to scare the bejaysis out of you), and the tiniest ones are the size of a needle and make a piercing sound. Then followed a captivating discussion on the restoration of the instrument, his work with Eli Roth and his music for The Americans. 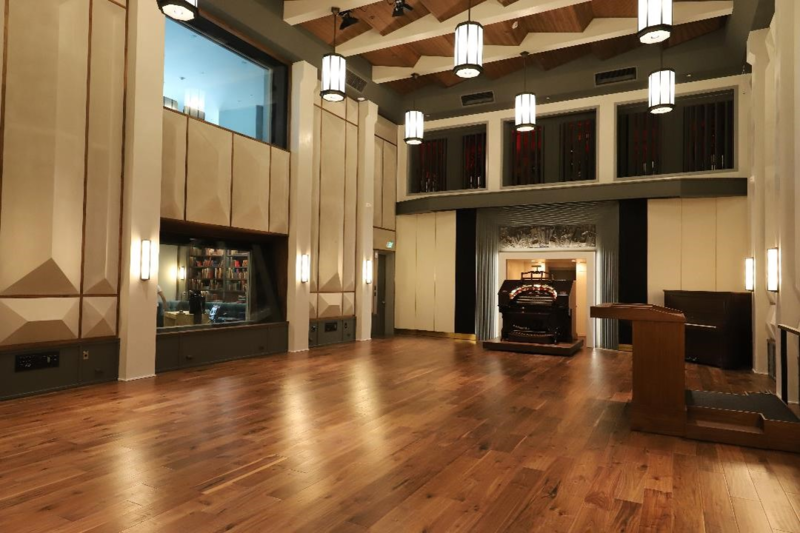 Score It Magazine: Over the past 6 years, you’ve been restoring the Wurlitzer pipe organ that was installed at Fox Studios in the late 1920s. I read that you are a rare instruments enthusiast and connoisseur, so was this restoration a personal project of yours? Nathan Barr: It was indeed a personal passion project. This is an instrument that was a big part of the Hollywood film music history that has largely been forgotten about. When I started thinking about building a studio years ago, I wanted to do something a little bit different and I found out that this organ existed still and I realised I could build my studio around the organ. The entire building was built around, it’s all Art Deco-inspired. How did you discover this organ? What shape was it in when you first put your hands on it? There was a man in Nevada who had an organ restoration business. I flew up to Reno, I said that I’d love to see the organ, and he opened these big doors, and it was like, floor to ceiling, boxes… and that was the whole organ. As far as pipe organs go, it was in very good condition because it was installed at Fox from 1928 to 1998. In 1998, when it was sold, it was crated up very carefully. It still required four years of restoration to get it into shape. I worked very closely with my architect and Ken Chrome, the man who owned it, to build the building around the instrument. How did the the organ ended from Hollywood to Nevada? The man who ultimately owned it, and whom I bought it from, used to take care of the organ at Fox, with his father, for 30 years. As a younger man, he used to go up to the chambers at Fox and service the organ. So if a big session was happening with John Williams or someone, the studio would call them up and they’d go and fix something in the organ. He moved his organ business up to Reno from Los Angeles a few years ago and brought the organ with him. So that’s how it ended up up there. And in concrete terms, how do you restore an organ? Well, we are doing a documentary about it. Basically, you have about 1,500 pipes. I could fit into the biggest pipe. You go through all the pipes, you clean them, you make adjustments depending on what kind of pipe it is. You have been using the Wurlitzer to score Eli Roth’s latest film, The House with a Clock in its Walls. Yes, I used it quite a bit for The House with a Clock in its Walls. There’s an end credit suite that is 6 minutes, it’s the organ, solo, with my themes. Eli loved the sound of it and the history of it. It’s the first film it has been in, in 25 years. You’ve been Eli Roth’s partner in crime for decades now, were you surprised when he came up to you with this scenario, which is more kid-friendly than, say, Hostel or Cabin Fever? So often in this business, we get pigeon-holed. So if you do horror, you only get hired for horror. I was really excited to see he was doing something that more fantasy. Good directors are good directors, whatever they direct. I am happy he got this opportunity and it’s a very wonderful film. He did a great job. For me too, it was really funny to do something that was less adult and less violent but still scary, the way we would have loved as kids. Did he give you a lot of direction regarding the tone of the music? When I first read the script, I wrote 12-14 minutes of music just based on that. The minute he heard it, Eli said that he loved it and that it was perfect for the film. Throughout the process, we went back and forth, of course, but I think that from day one, we were on the same page. It was our fourth film together as director/composer but it was probably our tenth project producer-whatever/composer. It’s a great experience. I discovered that the film is the second adaptation of John Bellairs’ eponymous book. The first one was adapted as a segment in the 1979 anthology Once Upon a Midnight Scary, hosted by Vincent Price. Did you watch it? Oh, I didn’t know! I did read the original book but I didn’t know that a first adaptation existed. It must have been quite different from Eli’s if it was hosted by Vincent Price! What was the source of inspiration for your score for The House? It made me think of Danny Elfman, but there’s also elements that evoke a circus. It’s funny that you mention Danny because I was at his studio yesterday. I think Eli approached it from the standpoint of all the shows and movies he liked as a kid. And I did the same thing as a composer. This is the most traditional score I have ever written, and it’s the kind of score I’ve wanted to write for years but never had the opportunity to do. It pulls from all my favourite references as far as Danny Elfman, John Williams, etc. There are a lot of references but I think the score has its own feel as well. It’s circus-y as well, absolutely. It really worked well with the film. It’s a thematic score, and that was nice to do. Did you record the score in the studio? Yes we did, 8 weeks ago. We had a forty-something-piece orchestra. It was really a magical experience to live and it was the first session in this new studio. It was so fun to see the reaction of everyone in the orchestra to the organ. Did you have any requests from directors for the organ? Well, it’s generating a lot of interest right now. I’m doing a new show on Amazon called Carnival Row, and I will be using the organ quite extensively. It’s gonna be one of the tools I use. Most people, when they hear an organ, they think of the church organ sound. This organ can make that sound but I’m going to use it more like a synthesizer. You won’t necessarily know that you’re hearing the organ. I’d like to talk about The Americans. Elizabeth Jenkins is one of the best antiheroines I’ve seen in ages on TV. Could you tell us how you wrote the music for this amazing character, for 6 seasons? How did your music follow her narrative arc? Every aspect of the production of The Americans is wonderfully realised. Elizabeth, Philip and Paige, these characters are so beautifully written by Joe Weisberg and Joel Fields. When you give the role to actors like Keri Russell or Matthew Rhys, they take it to a whole other level. As a composer, when you’re working with such strong material, you’re not being asked to save anything. Many times, composers are brought in to help save a performance that maybe isn’t as good as the producers wanted or a scene that wasn’t directed the way they wanted, and it’s up to the score to do that. With a character like Elizabeth, it’s a pleasure to support her journey. To get the show, I wrote a seven-minute demo. I was hired and the first thing I wrote was Elizabeth’s theme (editor’s note: he hums the melody) which I didn’t know would become the theme of the show, or Elizabeth’s theme. So it was really about coming up with something that was very simple for a very complex character like Elizabeth. She’s so absolutely devoted to the cause above everything else, but she loves her family too. It didn’t turn out to need to be a complex theme, it was a very simple one that somehow helped tell the story of her character. There is of course a Russian element to your music for The Americans. I would say that what sounds “Russian” for me is the strings that you use. We tried to stay away from the overtly Russian things like the Red Army choir, you know? But what you say about the strings makes sense as I love Shostakovich. I grew up playing a lot of Shostakovich’s chamber music like his piano quintet, the cello sonata. 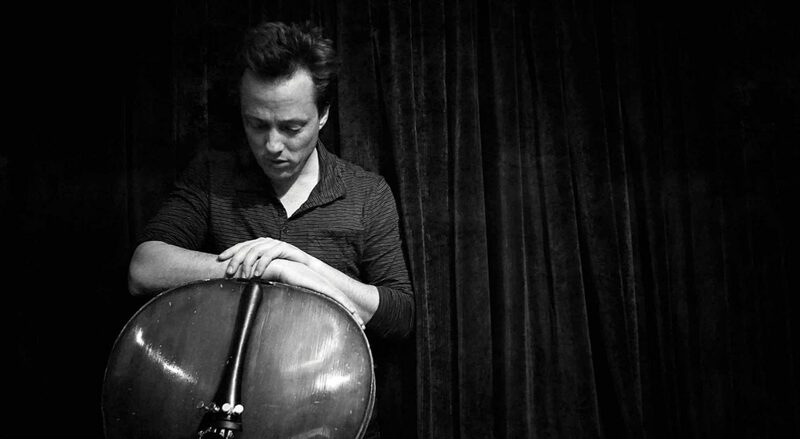 I approached it as a cellist and obviously, the cello plugged into the Russianness of it. If you took the music away from the show and just play the music, I’d be curious to know if people would identify it as Russian, I don’t know. The low cello theme is Philip’s theme, it goes very well with his character, it plays up his depth. What about the collaboration with Pete Townshend for “It Must be Done”? In season 2, Joe and Joel wanted to have me collaborate with someone, a well-known musician. They thought it’d be fun for the show, fun for me, fun for them. So we reached out through our music supervisors, P.J. Bloom and Amanda Krieg Thomas to some very big names in pop music. Pete responded right away and said he loved the show and the score. I was like, “Awesome!” He called one morning, and we chatted about the scene. I sent over two tracks to him that I had written specifically with him in mind but that still lived within the score of the show. And he really responded to one. I didn’t know what he was going to give me and he sent back guitar parts, lyrics, vocals… It was amazing. Then I took that and I produced it and worked it into the scene. It felt like a song but it also felt like score. We had a wonderful collaboration. One year later, him and I were in London, we had lunch, it was very nice. You started studying music in Tokyo at a very young age. Were your parents in the military? No, actually, my dad was a banker, and the bank he was working for was opening an office in Tokyo. He brought me and my mom, and my brother was born there. We started studying Suzuki violin over there very young. Did this Japanese childhood influence in any way your musical upbringing? Actually, my mom played koto. So I definitely grew up listening to Japanese music. You mentioned, earlier in the conversation, the documentary you’re making about the organ, can you tell us more about it? It’s not going to be like a feature-length documentary… Danny Elfman just used the organ, John Williams used it in many films, so we’re trying to get some of these guys who have a history with it to come and speak about it. We’re just finishing up these interviews and then we’ll put it together, it should be done by the end of the year! Interview prepared, conducted and transcribed by Marine Wong Kwok Chuen.